Celebration in the Oaks is one of the most magnificent holiday light attractions in the entire country, with dazzling displays that have wowed locals and visitors alike at this New Orleans Christmas light extravaganza for more than three decades. As one of the nation’s premier Christmas light displays, Celebration in the Oaks (also known locally by the misnomer “Christmas in the Oaks”) is a true holiday spectacular. Each year starting in late November on the Friday after Thanksgiving, world-renowned City Park is transformed into a real Christmas wonderland, with dozens of light displays spread out all over the humongous park. As one of the most popular and beautiful holiday light displays in the United States, with over 20,000 lights and over two dozen displays, this event is a destination in and of itself. Centuries-old oak trees are decked out in holiday cheer. Favorites include locally-inspired displays like the Cajun Night Before Christmas and the Who Dat Tree, lovingly adorned with Saints decorations in their signature colors of black and gold. There’s also a Mr. Bingle statue, an ode to the popular homegrown holiday character, who serves as New Orleans’ iconic snowman. Parents and children are treated to a two-mile ride on a miniature train that weaves through the breathtakingly beautiful park, passing under lit holiday displays complete with special effects. There’s also a small amusement park at Carousel Gardens, where you can enjoy a variety of rides for a small fee or buy a wristband for unlimited rides. Standouts include the hundred-year-old hand-carved carousel, one of the few left in the entire country, and the Ferris wheel, which gives you a terrific view of the entire city including the downtown New Orleans skyline. The cost to get into Celebration in the Oaks is minimal, with a small fee of for admission, with children 3 and under getting in free. It’s important to note that the tour is now walking only, with vehicles no longer being allowed to drive through and view the lights. There’s ample parking available in lots near the entrance, and you can also take the Canal Street streetcar if you’re feeling adventurous and don’t mind hiking over to the car from your stop. NOLA Christmasfest is a spectacular, family-friendly annual event with dozens of winter activities including a real indoor ice skating rink, ice slides, Bouncy! the World’s Tallest Snowman, Polar Golf, a carousel, carnival rides, inflatables, Santa and friends, gingerbread houses, decorated trees, and much more. This year will feature a rare treat for New Orleans—a real, indoor ice skating rink! From December 20th through December 31st, festival goers will have a chance to try their luck on the ice at this chilly festival at the New Orleans Convention Center. Besides the ice skating rink, this family-friendly festival will feature an array of other winter activities. While mainly an indoor event, the fest will also showcase over two miles of lights (both indoors and outdoors!) strung all throughout the area in the city’s Warehouse District. There’s a huge variety of Christmas characters for the kids to enjoy, including Santa Claus, Mrs. Claus, Rudolf and more. Many more attractions await children (and their parents!) at this Christmas-themed celebration, including the Kringle Carousel, Winter Whirl, Amazing Funhouse Maze, Snowy Summit Climbing Wall and rides and bounce houses. LUNA Fete (which stands for Light Up NOLA Arts) is one of the most unique festivals in New Orleans. This imaginative initiative is set up by the Arts Council of New Orleans. Taking place from December 6th-9th, this fete seamlessly combines New Orleans’ historic architecture with art and technology via modern light and video mapping, sound installation, and motion graphics to create some spectacular large-scale light displays. The event will take place in Lafayette Square and along Lafayette and Fulton streets, with video mapping projected onto Gallier Hall while other light displays occur all along the streets. A great family-friendly event, this festival is free and takes place hourly, making it impossible to miss this must-see holiday light show! For folks interested in upgrading their LUNA Fete experience, VIP tickets are available to the Luna Lounge. This exclusive heated oasis features catering by LEBLANC + SMITH, food from Longway Tavern, Meauxbar and more, a private bar stocked with New Orleans’ favorites, and even complimentary cocktails. Conveniently located in downtown New Orleans, this event is easily accessible via bus, streetcar, or even a walk from your hotel in the French Quarter or CBD. One of the many Cajun Christmas traditions of South Louisiana, Bonfires on the Levee is a true cultural sight to be seen. Taking place on Christmas Eve, this traditional celebration derives from an age-old Cajun celebration involving the burning of bonfires to light the way for Papa Noel as he flies through the area. Earlier bonfires featured relatively simple ladder-like layouts of logs, and today’s celebrations, while still largely following that traditional format, also contain increasingly sophisticated arrangements, with some resembling old Cajun cabins and even pickup trucks. Beginning usually around 7 P.M., these massive burn piles are doused with flammables before being lit, lighting up the area with an intensity you don’t want to miss. The result is a free show that hundreds of locals and visitors gather to see, often accompanied by free bowls of gumbo and a fireworks show set off by the blazes themselves. While there are over a hundred of these bonfires spread out all across the region, most take place in St. James Parish, about 40 miles west of New Orleans. But you don’t even have to travel outside of the city limits to witness one of these massive blazes. Algiers Point, located just across the river from the French Quarter, features one annually every early December, and the blaze can be enjoyed from a perfect (and safe) vantage point across the river in the French Quarter’s Woldenburg Park, or from the Point itself. For folks staying in the French Quarter, you can also take the ferry at the foot of Canal Street for a direct ride straight to the sight of all the action. Presented by the Crescent City Homebrewers, this German-inspired event takes place in the newly-constructed Deutsche Haus, the headquarters for the German presence in the Gulf South, located at 1700 Moss Street where Munich meets Mid-City. Kick back and enjoy winter Deutschland style at this amazing evening of beer, music, German food, and more! The celebration takes place on Saturday, December 1st from 6-11 P.M. German delicacies available at the event include soft pretzels, a variety of German sausages, sauerkraut, red cabbage, potato salad, and delicious desserts. Besides the food, there’s also over 50 different home-brewed (including experimental) and commercial beers to try, as well as free soft drinks and a cash bar. All of this is included in the price of a ticket, which is $30 and can be purchased here or at the door for $35. You probably know New Orleans as a unique melting pot of cultures ranging from Creole to Croatian, but did you know New Orleans also is home to a sizeable Vietnamese population? As relatively recent refugees following the Vietnam War, these immigrants have turned the familiar climate and welcoming atmosphere of New Orleans into a home all their own, including the creation of an entire Vietnamese village in the backwoods of Eastern New Orleans. Every year, Mary Queen of Vietnam Church, the headquarters of the local Vietnamese community located in the aforementioned Vietnamese village, hosts the largest Vietnamese festival in the New Orleans area. Full of pho and fun, this unique fest is free and takes place February 8-10, 2019. On the opening night, beginning at 6 P.M. that Friday, fest-goers will be treated to an assortment of activities and games, with a traditional fireworks show and dragon dance starting at 6:30. On the following day, Saturday, February 9th starting at 10 A.M., attendees can enjoy a variety of vendors, food, and activities before another fireworks show and dragon dance begins at 7 P.M., followed by traditional music and dancing. The festival will round out that Sunday, from 12-11 P.M., with more music and activities to commemorate the start of the Vietnamese New Year. From November 30th - December 26th, marvel at all the holiday magic on display at Miracle on Fulton Street. Free and open to the public, this holiday event sponsored by Harrah’s is a must-see for the whole family. featuring hourly "snowfall" every day from 11 A.M. to 10 P.M., dazzling displays of twinkling lights, a giant wreath and Christmas tree, live music, a magical gingerbread display in the Harrah’s casino lobby, and more. This year’s edition will include a beautiful new light exhibit—just one more welcome addition to this winter wonderland in New Orleans. On Fridays and Saturdays, Santa will also be on hand along with live music from some great local and national acts. Getting there is easy, with discount parking being provided by several Fulton Street businesses. It’s also an easy walk from a number of hotels in the French Quarter and CBD. Bring in the holiday season on Saturday, December 1st, with the Krewe of Jingle parade. Starting at Lee Circle at 1 P.M., this official holiday parade makes its way along St. Charles Avenue, Canal Street, and Baronne Street, finally concluding on Howard Avenue. Take a look at the parade route to see where the parade passes nearest to you. This parade features the traditional New Orleans parade floats and marching bands you would see at Mardi Gras and many other parades, but with a Christmas twist. There will also be stilt-walkers—another favorite at New Orleans parades—as well as Santa Claus and other holiday characters. Children of all ages are welcome to attend this free, family-friendly event. Catch beaded necklaces and other throws for the perfect New Orleans holiday souvenir! Winter is a busy time for New Orleans, and with all the events going on over multiple weekends, you’re going to need a good place to stay. 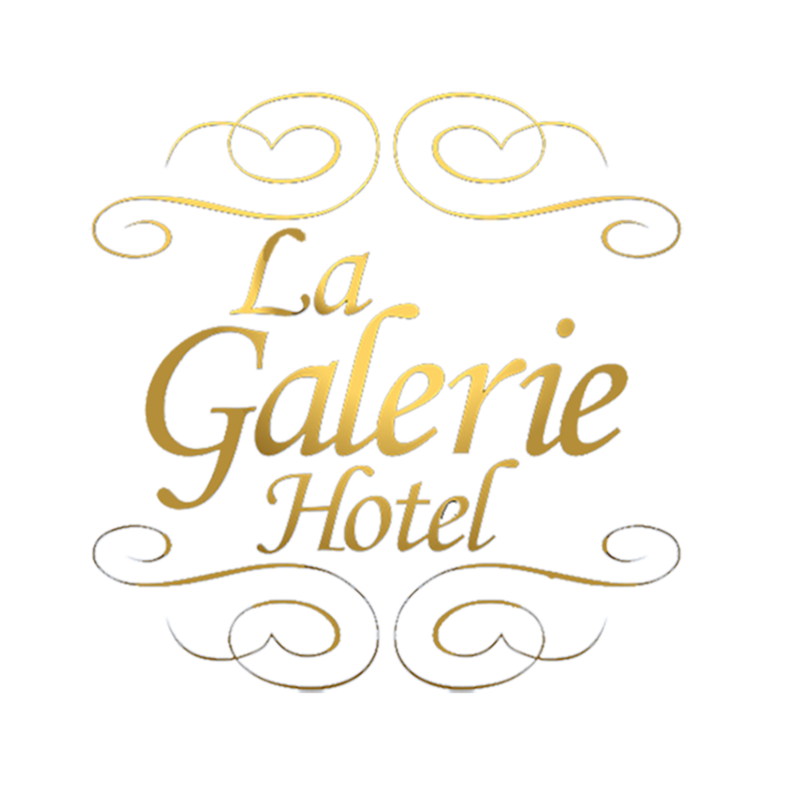 For convenient comfort just inside the French Quarter, book your stay at La Galerie French Quarter Hotel. With a prime spot on the shop and bar-lined Decatur Street, and just steps from the Canal Street streetcar, La Galerie is the perfect place to begin your New Orleans winter vacation. With a number of luxury rooms ranging from doubles to queen and king size suites, no other hotel is better suited to provide you with the level of luxury and exclusiveness you’re looking for on your next trip to NOLA. Each room includes fantastic features like free Wifi, one or more flat screen TVs, modern-day amenities, wake-up service, and alarm clocks with USB ports—all this in soundproof, smoke-free rooms. Enjoy delicious New Orleans cuisine at the Coterie Restaurant & Oyster Bar. The hotel also features a fully stocked bar, a tour desk to guide you on your New Orleans journey, shuttle service, express check in/out, valet parking, and a 24-hour front desk available to help you at all times. Ready to get started enjoying all the local winter festivals during your New Orleans vacation? Beat the crowds and call La Galerie Hotel today at (504) 592-7700 or visit us online to book your New Orleans French Quarter stay today!